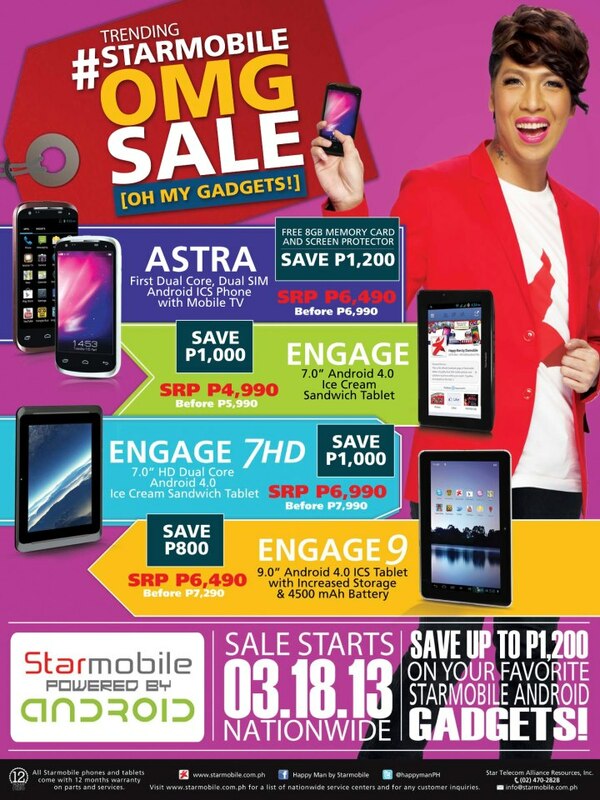 Star Mobile, a local brand of mobile devices announces a nationwide sale offering as much as 1200 Pesos discount on selected items. The announcement was made through their Facebook Page. 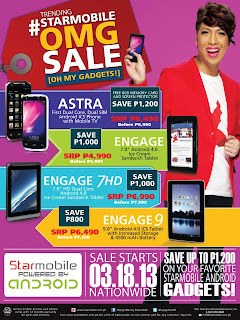 Star Mobile provides Android phones and tablets at a low price. In this sale, they will further lower down their prices to attract more customers. The Philippines is adapting to the worldwide trend of increasing usage of smart mobile devices such as smartphones and tablets. With Android devices that can now be purchased below 5000 Pesos, the adoption is increasing dramatically. Cherry Mobile, Torque and CloudFone Mobile are among the local brands that sells reasonably priced smartphones and tablets.